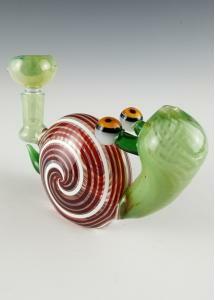 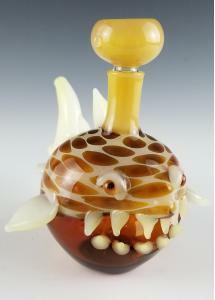 5.5" Tall2" Diameter Base6" Over All LengthShark Shaped Water PipeCustom Glass Work Throughout14mm F..
Shark Design Water Pipe With Fins &..
3.75" Tall3.5" Diameter Base6" Over All LengthSnail Shaped Water PipeCustom Glass Work Throughout14m..
Snail Design Water Pipe With Custom..
16" Tall 4.5" Base4" Body DiameterBuilt In Down stemThe Evergreen Zig Zag DesignBarrel Percolator1.. 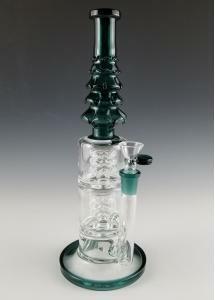 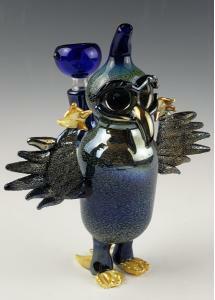 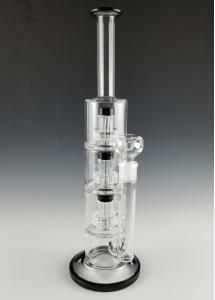 The Evergreen Zig Zag Barrel Percol..
6.5" Tall 3.5" Wide Cobalt Inside Frit Design 14mm Male Glass on Glass..
16" Tall 4.5" Diameter Base Built In Down stemTurbine Percolator Four Chamber Three Tier Tu.. 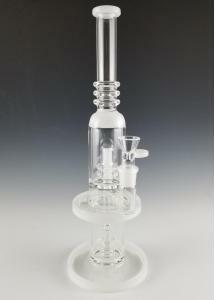 Triple Upside Down Shower Head Perc..
13.5" Tall 4.5" Diameter Mouth Piece 4" Diameter Base Built In Down stemUFO Double BarrelDome ..
UFO Double Barrel Dome Perc Water B..